We are embracing the cold weather season in our 3-day 3’s class. 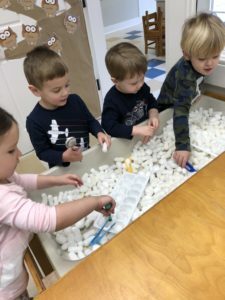 We have added “snow and ice” to our sensory table with a variety of tongs and trays for sorting. 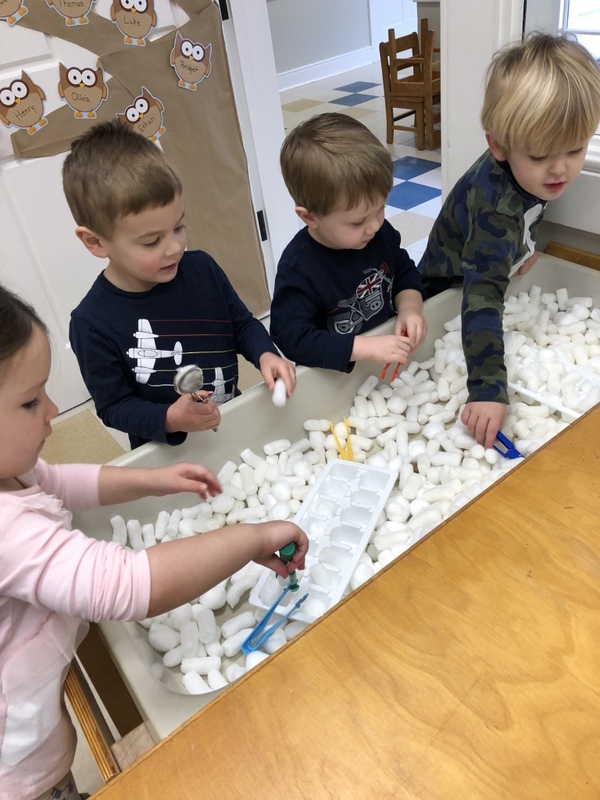 We have also added some cups for “building” and arctic animals for creative play. 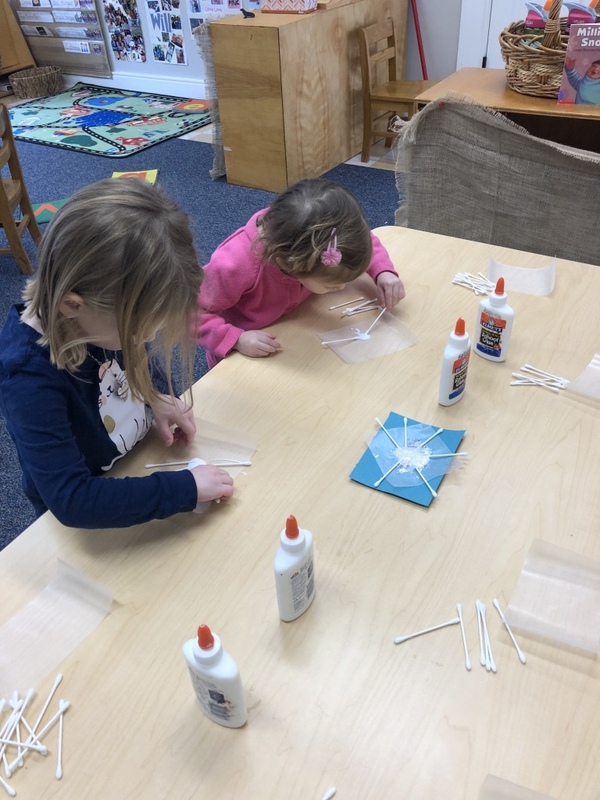 After reading a few books on snow, our friends create their own unique snowflakes using glue, Qtips, wax paper and glitter! And who doesn’t enjoy something warm to drink on cold winter days? 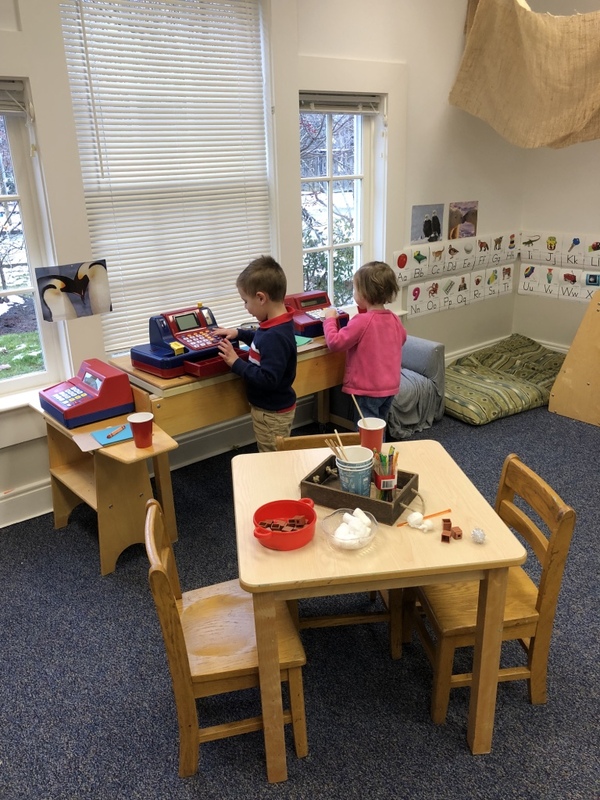 We have our very own hot chocolate “cafe.” The children have been busy making, buying and serving up these yummy treats to one another.